The deal gives Line, already popular with 170 million monthly active users, a new way to attract more customers at a time of rising interest in music streaming. It also explains what Microsoft would do with the music service after Microsoft said it would spin it off, as the company now focuses on “productivity.” Apparently music doesn’t make people productive. 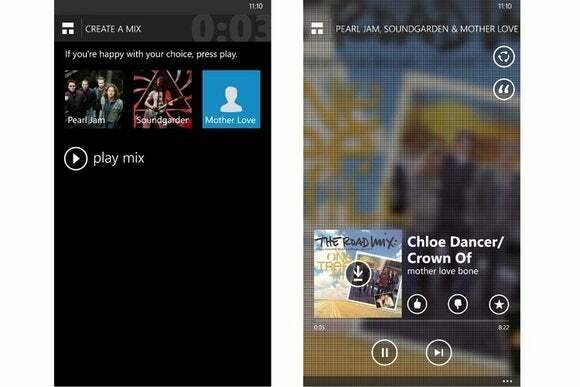 MixRadio’s service, which lets users create mixes around multiple artists, will stay alive. In fact, MixRadio will continue to work with Microsoft to offer a personalized music experience as a third party service on Lumia smartphones, Line said in its announcement. But as part of Line, it’s likely to find its way to more platforms. Line gives MixRadio “an excellent platform for expansion to provide a valid and appealing alternative to illegal downloading in many markets around the world,” , Microsoft said Thursday. Line’s app, available on iOS, Android, Windows phone, BlackBerry, and the desktop, provides free voice and video calls. Competitors include Facebook-owned WhatsApp and Facebook Messenger, as well as China’s WeChat and South Korea’s KakaoTalk. MixRadio’s service has begun to diversify to new platforms in home audio and wearable devices, having recently been integrated into Harman Kardon Omni wireless speakers and the Adidas miCoach Smart Run watch. The deal is expected to close early next year. Terms were not disclosed. It follows other music-streaming acquisitions like Google’s purchase of Songza and Apple’s purchase of Beats Music and Electronics.